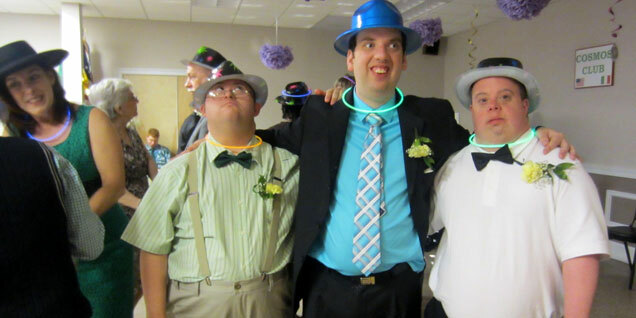 Celebrating holidays, birthdays and special events - even our annual Prom. A broad variety of people visit The Opportunity Center. 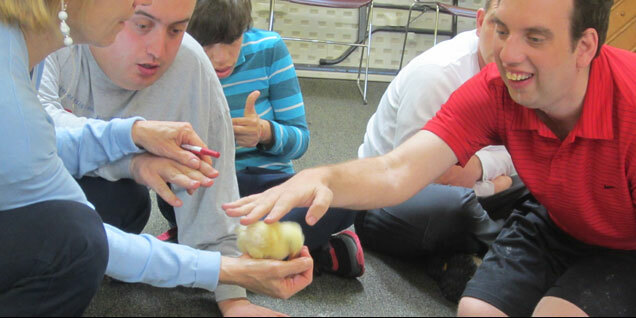 The Opportunity Center is a year round day program for adults with developmental disabilities, a non-sectarian, private, not-for-profit organization. Since 1965 our mission has been to provide a limited number of clients with a superior, life-enhancing program. 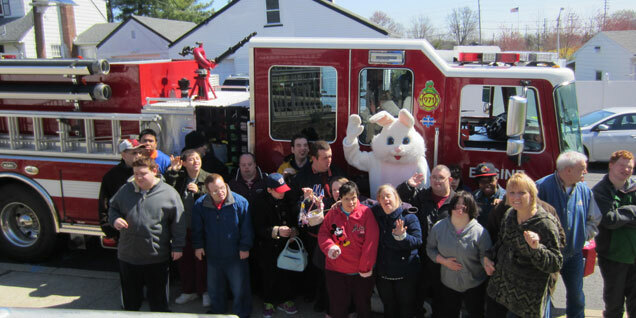 Our program currently serves approximately 25 clients who represent a broad range of mental and physical disabilities including autism, Down Syndrome and Cerebral Palsy. A broad variety of talented instructors from our local community visit The Opportunity Center to help clients improve their physical well-being through activities such as yoga, Tai Chi, Zumba and dance. Musicians frequently visit the Center and play a number of musical instruments in diverse musical styles for our appreciation and listening pleasure. We’d love to have you visit and share your talents with our clients. Please don't add me to mailing list We will never give away your info without your permission. A typical day includes segments of life skills training, art and craft projects, exercise, community outings and much more.